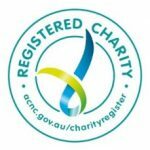 Wollongong Emergency Family Housing Inc (WEFH) is a registered not-for-profit charity with Deductible Gift Recipient Status and Registered Community Housing Provider – Tier 3. WEFH supports families and individuals who are homeless or at risk of homelessness to either sustain their existing accommodation or attain and keep new tenancies through a combination of early intervention, case management, referral, advocacy and information. We continue to use a collaborative, client-centred approach to case management and support. Clients often have complex and diverse needs and the service ensures that the process remains flexible in order to meet the individual requirements of each family or individual. WEFH identifies the importance of client ‘self-determination’ and encourages clients to identify their own needs and make informed decisions about services that can best assist them in achieving their goals. Homeless Hub Crisis Response – Drop in Support, breakfast and food support, crisis management, face-to-face support, referral and advocacy, telephone support. Glider Accommodation Pre/Post Crisis Support – Intensive case management, early intervention, targeted support, research project, proactive prevention to homelessness. Outreach Service Delivery (Mobile Truck) – Community engagement, collaborative response, assess gaps in service engagement. Our head office is located at 75-79 Keira Street Wollongong. We are open 9am to 4pm Monday to Friday (9am – 10am Breakfast for those sleeping rough/TA then 10am – 2pm drop in service. From 2pm – 4pm appointment only) or you can contact us here. Wollongong Homeless hub is located at 75-79 Keira Street in Wollongong and can be contacted on 02 4228 0955.